WOW - flashback in time! That wee face looks like you all over again! Too cute. ok, that's about the cutest thing ever. magnolia—aw, shucks. Isn't it hilarious how kids sleep in the craziest shapes? that is so stinkin cute. 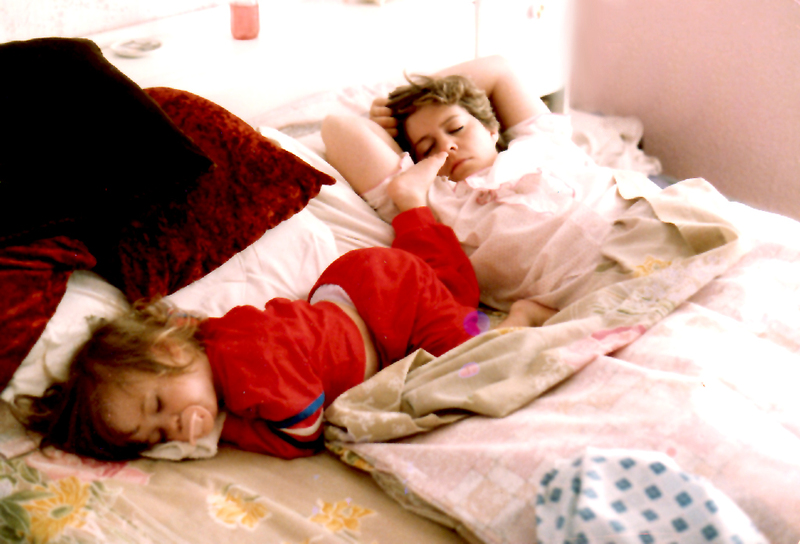 stephanie—If I had to endure trying to sleep with a toddler, it better have been cute. My daughter sleeps in the crack of the bed and wall - she gets stuck constantly, but it never stops her. So darn cute!! History repeating.